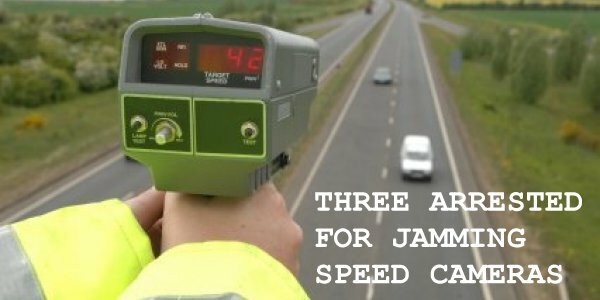 Three people have been arrested in Wales for using speed camera laser jammers. A laser jammer is an electronic device used by drivers to prevent users of a LIDAR (light and radar) laser gun from obtaining speed readings of their vehicle. Their use can carry a prison sentence. Police announced on Twitter: "Using a laser jammer to avoid speed cameras is perverting the course of justice. The GoSafeCymru enquiry team in Dyfed-Powys currently has three people in police custody and five cars seized complete with laser jammers. Don't do it."